This month marks the 25th anniversary of the Americans with Disabilities Act (ADA), which ensured equal access to persons with limited mobility, limited vision, limited hearing, and other disabilities. Shortly after this law was enacted in 1990, museums and historic sites were scrambling to figure out the consequences, especially the cost of installing ramps or hiring sign-language interpreters. Much of it also revolved thinking bigger and realizing that improving access for the disabled would improve the experience for everyone. For example, lever handles replaced doorknobs, which makes it easier to open a door when you’re carrying a package; enlarging type and increasing contrast on exhibit labels makes them easier to read (which I really appreciated as I grew older); and integrating ramps and removing thresholds is nice for visitors in wheelchairs and for staff who are always hauling tables and chairs for events. For several years, professional associations hosted sessions and printed books to explain ADA to help museums figure out how to respond in an effective and thoughtful manner. Little discussed, however, is that the US Department of Justice (DOJ) also investigated several museums and historic sites for compliance with ADA. This law may be far from our minds, but it can easily become a top priority for years because of a complaint from a visitor. Just to give you a sense of what’s happened over the years, here’s a list of a few Settlement Agreements from the Department of Justice web site. I’m providing a short summary but you’ll want to read the entire Settlement Agreement to better understand the scope of review–it’s not just about the complaint. For example, at the International Spy Museum, the complaint was from a blind visitor but the DOJ also found that the store counter was too high, restroom doors were too hard to open, the theater lacked integrated wheelchair seating, and that sign language interpreters were only available at special events. The Agreements also provide acceptable solutions–a handy list of ideas if you’re thinking about what to do. Fort Morgan Library and Museum (2013): Findings include no level landing at entrance, insufficient directional signage, the microwave oven mounted too high in kitchen, and the elevator does not have sounds to indicate movement. This settlement was part of a larger review of public facilities (including city hall, library, parks, police station) in the City of Fort Morgan, Colorado. Their review was part of Project Civic Access, a larger ADA compliance effort in cities big and small across the country, which also affects museums that are owned or operated by city or county government, including the Fort Myers Historical Museum (FL), the Edison and Ford Winter Estates (FL), Hamilton Public Library and Museum (NY), Luther Burbank Home and Gardens (CA), Sonoma County Museum (CA), Hodge Park Living History Museum (MO), Cyclorama & Civil War Museum (GA), Atlanta Botanical Garden (GA), and Wills Point Historical Society Museum (TX). Even more challenging is the DOJ’s desire that the content and experience be the same for all visitors. For example, the DOJ found that, “The audio tour allows visitors to select locations to visit in a nonlinear fashion. The audio tour script provided does not give visitors who are deaf or hard of hearing this same option” and that, “The [mansion tour] brochure does not convey the same level of detailed information provided by tour guides/house interpreters and provides no access to question-and-answer interactions between tour guides/house interpreters and visitors who are deaf or hard of hearing.” I support access to the disabled, but most historic sites will have difficulties finding solutions and it seems that the compliance review at Mount Vernon was more extensive than usual and bordered on being capricious. I’m also concerned that compliance review may encourage historic sites to drop a good interpretive technique (such as “question-and-answer interactions”) because they can’t provide a sign language interpreter to hearing impaired visitors. Are we letting the “perfect” be the enemy of the “good”? Before you panic and jump to dreadful conclusions, remember that Settlement Agreements are not lawsuits nor an admission of guilt. Secondly, even organizations with lots of experience and professional staff have difficulties complying with ADA. In the last few months that’s included Carnival Corporation (the cruise line), State of Idaho, edX (massive open online courses), St. Francis Hospital, and Rainforest Café. That doesn’t mean you should give up, only that you’re not alone and their experiences can help you. arming yourself with good information (see resources below and review a couple of the Settlement Agreements above). conducting a self-evaluation with a small team of advisors, both inside and outside of your organization (you’ll need a fresh perspective). discussing solutions with your colleagues or museums/historic sites that have been affected. attending a workshop (coming up on September 16, the AASLH Annual Meeting includes a workshop on accessibility in the museum setting at the Museum of the American Printing House for the Blind for $25). ADA Guide for Small Towns (which includes examples for a historic town library and historic house museum). Effective Communication (a short overview on different ways to communicate, including auxiliary aids and services, companions, and using accompanying adults or children as interpreters). Maintaining Accessibility in Museums (a four-page overview that addresses entrances, routes, programs, and retail stores). The Accessible Museum: Model Programs of Accessibility for Disabled and Older People by Marcia Sartwell (American Alliance of Museums, 1993). Everyone’s Welcome by John Salmen (American Alliance of Museums, 1998). “The Local History Museum: So Near and Yet So Far” by Catherine Kudlick, The Public Historian 27 no. 2 (Spring 2005): 75-81. “Making Historic Properties Accessible” by Thomas C. Jester and Sharon Park, Preservation Brief 32 (September 1993). The Multisensory Museum: Cross-Disciplinary Perspectives on Touch, Sound, Smell, Memory, and Space edited by Nina Levent and Alvaro Pascual-Leone (Rowman and Littlefield, 2014). “Museums and Technology: Being Inclusive Helps Accessibility for All” by Eleanor Lisney et al, Curator 56 no. 3 (July 2013): 353-361. Museums Without Barriers: A New Deal For the Disabled by Fondation de France and ICOM (Routledge, 1992). Programming for People with Special Needs: A Guide for Museums and Historic Sites by Katie Stringer (Rowman and Littlefield, 2014). “Providing Access to Engagement in Learning: The Potential of Universal Design for Learning in Museum Design” by Gabrielle Rappolt-Schlichtmann and Samantha Daley, Curator 56 no. 3 (July 2013): 307-321. Touch in Museums: Policy and Practice in Object Handling by Helen Chatterjee (Bloomsbury Academic, 2008). This entry was posted in Design, Governance and management, Historic preservation, Historical interpretation, Training and tagged Americans with Disabilities Act, Department of Justice, Fort Morgan Library and Museum, International Spy Museum, Mount Vernon, National Museum of Crime and Punishment, Newseum on July 28, 2015 by Max van Balgooy. This is a useful discussion of an important topic we’ve discussed before in this forum. Specific examples offer tremendous guidance on enhancing accessibility. Max, thanks so much for sharing this information. 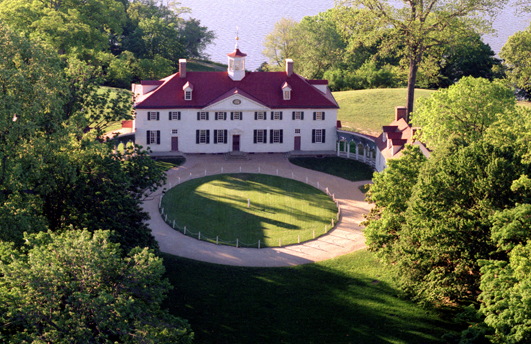 The Mount Vernon case is quite enlightening. Certainly some good solutions and some interesting challenges.